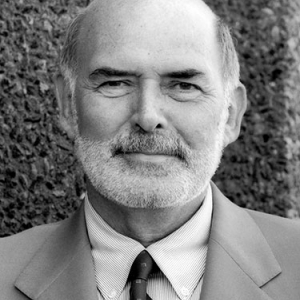 Peter Herrndorf stepped down as Chairman and CEO of TVOntario in February of 1999, and was appointed as a Senior Visiting Fellow of Massey College at the University of Toronto later that month. He was President and CEO of the National Arts Centre in Ottawa from September 1, 1999 to June 2, 2018. 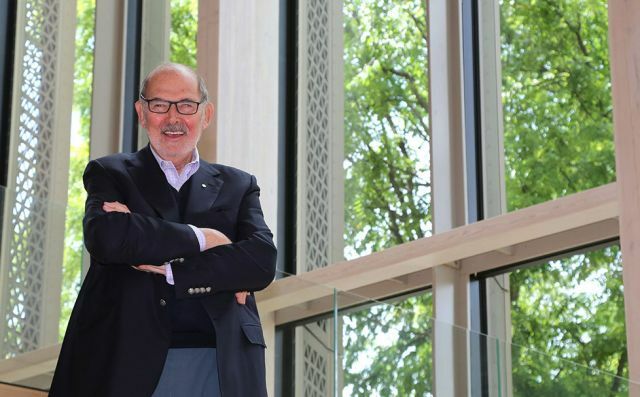 After graduating in 1962 from the University of Manitoba in Political Science and English, Peter Herrndorf received a law degree from Dalhousie University in Halifax in 1965, and earned his Master’s Degree in Administration at the Harvard Business School in 1970. He received an honorary Doctor of Laws degree from York University in 1989, from the University of Winnipeg in 1993, from Dalhousie University in 2000, from Carleton University in 2004, and from the University of Manitoba and Brock University in 2006. Mr. Herrndorf joined the Canadian Broadcasting Corporation in 1965 in Winnipeg as an editor and reporter in the television newsroom. Later that year, he moved to CBC Edmonton as a current affairs producer, coming to Toronto in 1967 to be a producer of the network current affairs series “The Way It Is”. After returning from Harvard in 1970, he became Special Assistant to the Vice President and General Manager of the English Network. From 1974 to 1977, Herrndorf served as Head of TV Current Affairs Programming. During that period, he was instrumental in the development and telecast of such network series as “the fifth estate”, “The Canadian Establishment” and “90 Minutes Live”, and such documentary specials as the Emmy Award winning “Henry Ford’s America”, “Beaverbrook”, “The October Crisis” and “Connections”, the two-part documentary on organized crime. 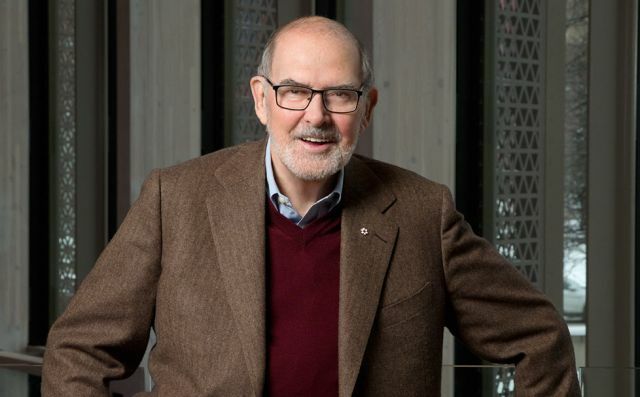 He became Vice President of Corporate Planning in Ottawa in 1977, and returned to Toronto in 1979 to become Vice President and General Manager of CBC’s English Language Radio and Television Networks. Under his leadership, the CBC initiated its major move of “The National News" to 10:00 o’clock and the introduction of the highly acclaimed public affairs program, “The Journal”. Mr. Herrndorf left the CBC in November 1983 and became Publisher of Toronto Life magazine in December of 1983 (1983-1992). While Mr. Herrndorf was publisher, Toronto Life achieved record earnings, and was selected twice as Canada's Magazine of the Year - in 1986, and again in 1990. In recognition of his contribution to the magazine industry, he was given the American City and Regional Magazine Association 1994 Lifetime Achievement Award. Mr. Herrndorf became Chairman and Chief Executive Officer of TVOntario in March of 1992 and served three terms in that role, stepping down in February of 1999. While he was Chairman, TVOntario achieved dramatic improvements in both its TVO and TFO network programming; increased its audiences to record levels; won an unprecedented number of national and international awards (including a special International Emmy and a record 11 Gemini Awards in September of 1998); and extended the TFO network service to New Brunswick and Quebec. During this same period, TVOntario reduced its annual operating costs by almost $20 million; significantly increased its net earned revenues annually by becoming far more entrepreneurial; sold its programs to more than 100 countries around the world; developed strategic alliances with broadcasters in China, Japan, Korea, France and Latin America; raised its membership level to 91,000, an all time high; and substantially reduced its reliance on government funding. On January 27, 1998, Mr. Herrndorf was awarded the John Drainie Award by the Academy of Canadian Cinema and Television for his distinguished lifetime contribution to Canadian broadcasting. He was also honoured at a Tribute dinner on February 1, 1999 for his contribution to Canadian education and lifelong learning by the Collegium of Work and Learning; was chosen as a lifetime “fellow” of the Ontario Teachers Federation on August 24, 1999 for his contribution to the educational life of the Province while he was at TVOntario; and received the "Distinguished Educator" Award from OISE on February 3, 2000, given for his lifetime contribution to Canadian education. In February of 2001, Mr. Herrndorf was chosen as an Honorary Fellow of the Ontario College of Art and Design for his ongoing role in the cultural life of the country. Mr. Herrndorf has also been active in a wide range of community and industry activities. He is the Founding President of the Governor General's Performing Arts Awards Foundation (1991-2002), and is a Past President of the Association for Tele-Education in Canada (ATEC). In the fall of 1995, the Prime Minister, the Right Honourable Jean Chrétien, appointed him to the 3-member Mandate Review Committee to review the mandates of the National Film Board, Telefilm and the Canadian Broadcasting Corporation. He was also a member of the Federal Government Task Force on the Implementation of Digital Television. He was honoured in the Toronto Eaton Centre's 'Salute to the City' recognizing 250 residents who have made an outstanding contribution to the vitality of Toronto over the past 20 years. Mr. Herrndorf currently serves on the Board of Directors of Luminato, Toronto’s Festival of Arts and Creativity; the Steering Committee for the Canadian Arts Summit; the Honorary Committee of the Power of the Arts National Forum; and the Honorary Leaders Council of the PuSh International Performing Arts Festival in Vancouver. He is the past chairman of the international Performing Arts Center Consortium (PACC) and a former member of the Board of Directors of the Canadian Broadcasting Corporation, the Board of Governors of the University of Ottawa, and The Ottawa Partnership (TOP), a private-sector group advising the City of Ottawa on economic development issues. Positions held previously include Chair of the adjudication panel for the 2011 Lieutenant Governor of Alberta Distinguished Artist Awards; Interim Chairman of the Board of the Canadian Television Fund (June 1997–June 1998); Chairman of the Canadian Broadcasting Museum Foundation Board of Directors; Chairman of the Board of the Canadian Museum of Civilization (Ottawa–Gatineau); Chairman of the Board of The Canadian Stage Company (Toronto); Past President of the American City and Regional Magazine Association; Founding Chairman of the Board of the Toronto Arts Awards Foundation; and Chairman of the Stratford Shakespeare Festival Board of Governors. Mr. Herrndorf is the co‑founder (2002) of “Kidsummer,” a summer-long Toronto children’s festival, and chaired the Metro Toronto Summit on Children in January 1997. He is a Director (or past Director) of the following Boards: the Pinchas Zukerman Instruments Foundation; the Governing Council of the University of Toronto; the International Council of the National Academy of Television Arts and Sciences (the International Emmies); Key Publishers Company Limited; the Canadian Journalism Foundation; the Banff Television Festival; the Premier’s Council on Economic Renewal; the Ontario Film Development Corporation; the Festival of Festivals/Cinémathèque Ontario; the National Magazine Awards; the Print Measurement Bureau; the Toronto International Music Festival; the International Choral Festival; the International Theatre Festival; and the Glory of Mozart Festival. He also serves (or served) on the following committees or Boards: the Advisory Board of the Soulpepper Theatre Company; the Friends of Canadian Broadcasting; the Canadian Council of Christians and Jews; the Premier’s Council on Pay Equity; the Ontario Law Reform Commission Advisory Council; the honorary degrees committee of the University of Toronto; the University of Kansas School of Journalism Advisory Committee; the York University Business School Advisory Committee; the National Advisory Board, The Pier 21 Society in Halifax; the Ontario Advisory Council, Asia Pacific Foundation; the National Campaign Committee for the James Robinson Johnston Chair in Black Canadian Studies at Dalhousie University; and was an Honorary Patron of the Yee Hong Centre for Geriatric Care in Toronto. In addition, he was honorary co-chairman of CONFRONTING REALITY, the 1992 national cultural management conference of the Association of Cultural Executives; an honorary patron of Dancers for Life, the Toronto arts community’s only annual benefit to raise money for the AIDS Committee of Toronto (ACT); a member of the Metropolitan Toronto Arts Round Table on Culture; and he co-chaired the Cultural Sector Symposium on education and training in Toronto on May 18, 2000. Peter Herrndorf was also part of a Toronto consortium that attempted to purchase the Toronto Blue Jays, the Toronto Argonauts and the Skydome in 1997. 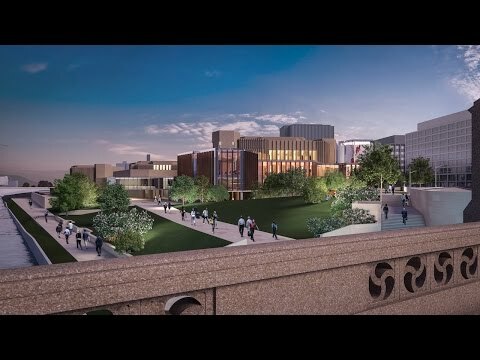 He was a member of the Cultural Festival Committee of the Toronto Olympics bid for the year 2008, and a member of the University of Toronto's Presidential Search Committee looking for a successor to Dr. Rob Prichard. Mr. Herrndorf was Distinguished Visitor in Journalism at the University of Western Ontario School of Journalism, for the 1983-84 school year. On June 30, 1993, Governor General Ramon Hnatyshyn appointed Peter Herrndorf as an Officer to the Order of Canada. In September 1995, he became the first recipient of the William Kilbourn Award presented by the Toronto Arts Awards Foundation for lifetime contribution to the arts in Toronto. Mr. Herrndorf was awarded the "Diplôme d'honneur" by the Canadian Conference of the Arts in June of 2000. It is presented annually to an individual for outstanding service to the arts in Canada. He was also selected as one of Canada’s 50 “nation-builders” by the Toronto Globe and Mail in June of 2002. In April of 2007, Mr. Herrndorf received the prestigious Officer’s Cross Order of Merit from the President of Hungary for his work in commemorating the 50th Anniversary of the Hungarian Revolution. In January of 2008, Mr. Herrndorf was appointed to the Order of Ontario by the Lieutenant Governor of Ontario, the Honourable David Onley. He received the 8th Annual Arthur Kroeger Award for Management from Carleton University on April 3, 2008 – the first winner from the public sector, the first from the cultural community and the first from Ottawa. Mr. Herrndorf was born in Amsterdam and raised in Winnipeg. A keen sportsman, he plays tennis, golf and bicycles. He and his wife Eva Czigler (former program executive at CBC Television) have a daughter, Katherine, and a son, Matthew.